This past week and the upcoming couple of weeks represent true nirvana for Toronto opera fans. The Canadian Opera Company's winter season is in full swing with Tristan und Isolde and La clemenza di Tito. I saw the opening Tristan and it turned out to be a truly memorable night at the opera. Canadian tenor Ben Heppner, in great voice, finally got to sing his signature role in his adopted home town of Toronto. 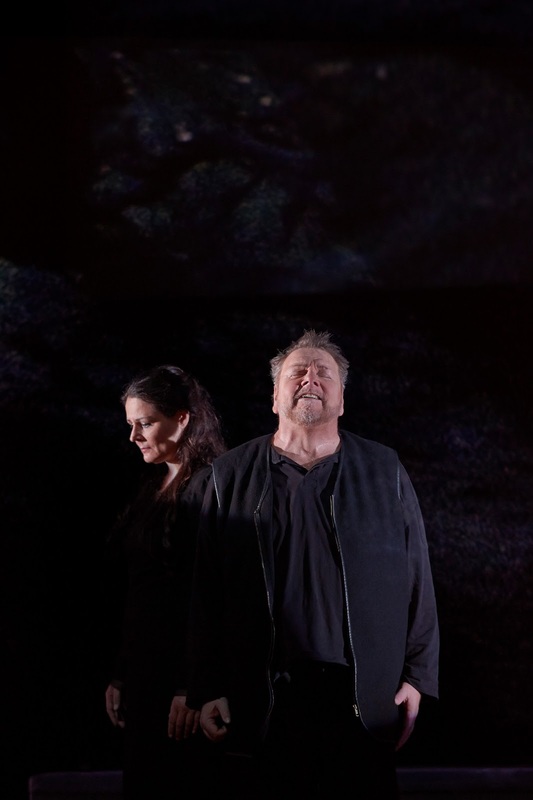 Making her role debut as Isolde, German soprano Melanie Diener proved that her voice is perfect for Isolde. I heard her as Fiordiligi and more recently as the Marschallin, but to jump from that rep to Wagner is really quite daunting. 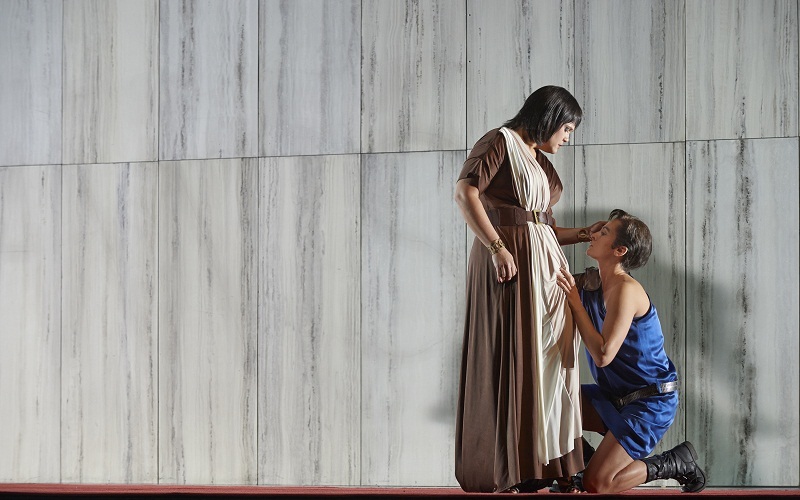 But she proved on opening night that she is already an Isolde of one's dreams, singing with gleaming tone. Her stage presence is aristocratic and full of womanly warmth. Vocally she was tireless, the last note as beautiful and opulent as her first. Franz Josef Selig was a huge voiced King Marke and American baritone Alan Held a terrific Kurwenal. Conductor Johannes Debus, in his first T&I with only eight weeks notice, conducted like an old hand, coaxing torrents of gorgeous sound from the COC Orchestra. It was an evening I won't soon forget. Yesterday afternoon, I attended the opening of La clemenza di Tito, and it was equally memorable. Top vocal honours belonged to American mezzo Isabel Leonard as an incredible Sesto - great Parto, parto. Her excellence was matched by the others in the cast, notably Canadian tenor Michael Schade, newly slimmed down and sounding his old Mozartian self, as a dramatically riveting Tito. 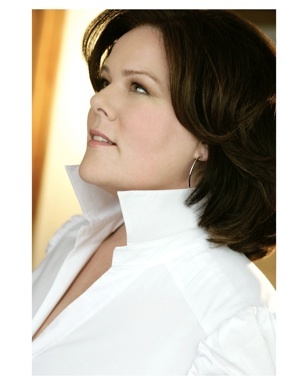 American soprano Keri Alkema, last heard locally as Giulietta in Hoffmann, outdid herself as a tremendous Vitellia. Former COC Ensemble member mezzo Wallis Giunta exuded star power in the supporting role of Annio, and current Ensemble soprano Mireille Asselin made a lovable Servilia. Bass Robert Gleadow, in full Roman military drag, was an imposing Publio. Fast-rising Israeli conductor Daniel Cohen, all of 29 years old, conducted an extremely impressive performance of this Mozart masterpiece. He did not allow space for applause after some of the arias, making sure the music was not impeded, at the same time he allowed daringly long pauses in important dramatic moments. The audience was generally well behaved, although at the end a few in the audience showed their displeasure towards the creative team, mostly Christopher Alden. Seeing these two terrific shows at the COC in quick succession makes me feel so lucky to be living in Toronto. Absolutely not to be missed - Tristan und Isolde (Feb. 8 at 6:30 pm with alternate cast of Michael Baba and Margaret Jane Wray); La clemenza di Tito (Feb. 7 and 9 at 7:30 pm). Two notable events this week at the Richard Bradshaw Amphitheatre. 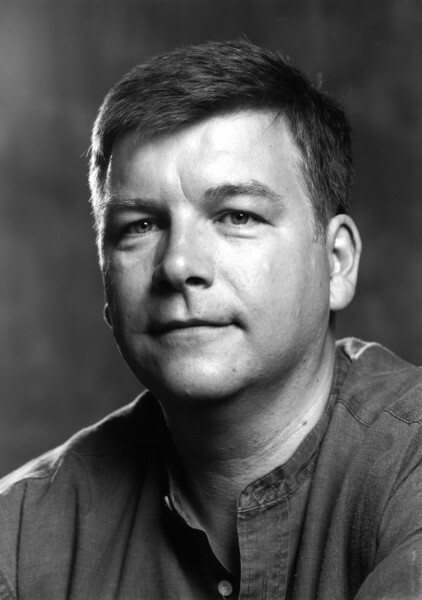 American pianist, harpsichordist and conductor Stephen B. Hargreaves presents Variations on 1930, an intriguing program of Copland, Britten and Kodaly to Art Tatum's transcription of Tea for Two (Tues. Feb. 5). http://the-coc.s3.amazonaws.com/pdfs/concert130205.pdf On Thurs. Feb. 7, Albanian-Canadian pianist Rudin Lengo plays Liszt and Mussorgsky. Program details at http://the-coc.s3.amazonaws.com/pdfs/concert130207.pdf Be sure to show up an hour ahead to ensure a seat.